Without the support and participation of county residents, Alliance success will be limited. Another easy way to help: help us crowdsource mobile coverage data for Mendocino by downloading the free CalSPEED app to your mobile Android or Apple phone, and test in all the cellular “dead zones” so that data goes to the PUC. You can also download the CalSPEED desktop app to send home broadband information to the PUC. You can find more information about how to use these apps in the NBNCBC Volume 3 newsletter, page 9 and 10. Volunteer your talents. We are currently looking for a volunteer to take notes at our bi-monthly meetings. Contact the Chair at Chairman@MendocinoBroadband.org if you’d like to get involved in any way. 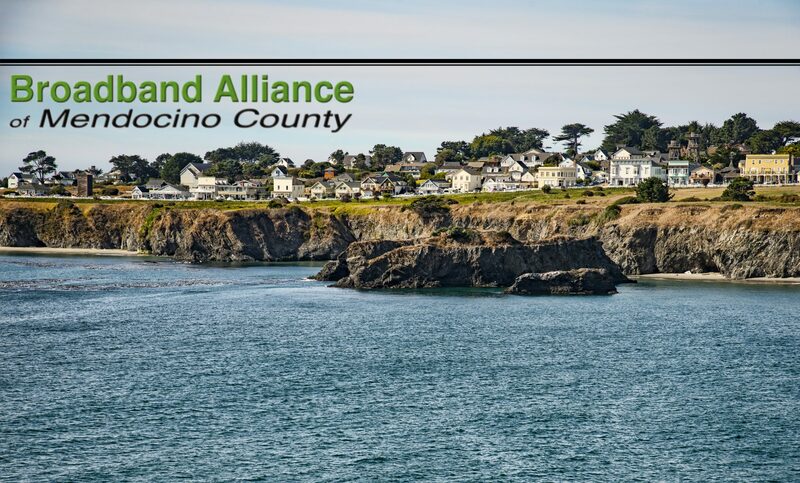 Thanks for your interest in the Broadband Alliance and helping to bring Digital Inclusion to Mendocino County!